The complete solution for SQL Server performance tuning recommendations and health checks. Click here to install SQL Doctor. 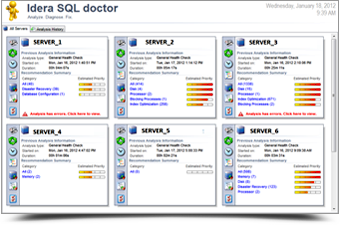 Use this step-by-step install guide for help setting up SQL Doctor. Request a one-on-one demo of SQL Doctor with one of our product experts.